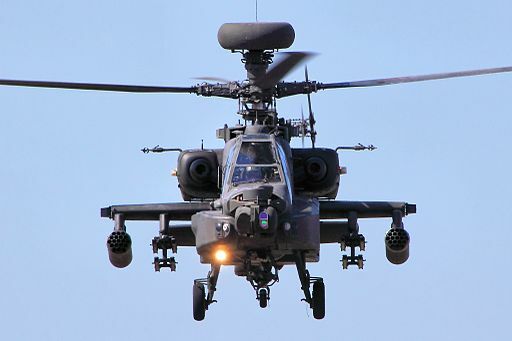 The U.S. State Department has approved a potential sale of weapons and support equipment for India’s proposed procurement of six AH-64E Apache helicopters. The proposed package, which would be done as a Direct Commercial Sale as opposed to a Foreign Military Sale, has an estimated cost of $930 million. Estimated costs and quantities of items can change during negotiations, and approval by the State Department is not a guarantee the sale will be completed. • Four Block III radar electronic units. • Four AN/APR-48B modernized radar frequency interferometers. • 180 AGM-114L-3 Longbow Hellfire missiles. • 90 AGM-114R-3 Hellfire II missiles. • 200 Stinger Block I-92H missiles. • Seven Modernized Target Acquisition Designation Sight/Pilot Night Vision Sensors. • 14 embedded GPS inertial navigation systems. • Four AN/APG-78 fire control radars.